Whether your interest lies in sewing, knitting, or jewelry making, you're covered with the Craft Postcard. 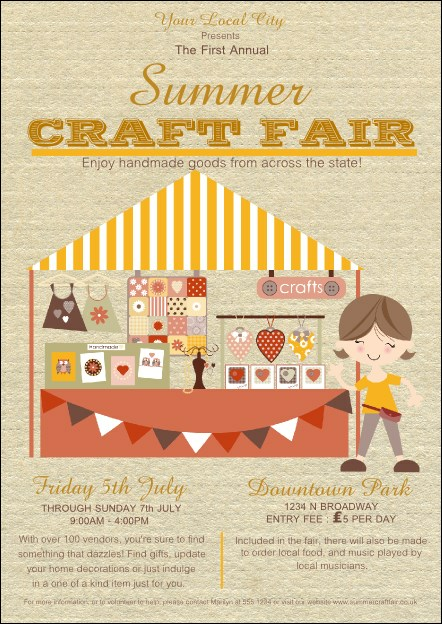 A sweet illustration of a craft booth is featured on this design, with event details listed below. Pair with tickets, flyers and posters in a Matching Event Kit for cohesive promotions! Send a unique message with the right postcard from UK Ticket Printing.